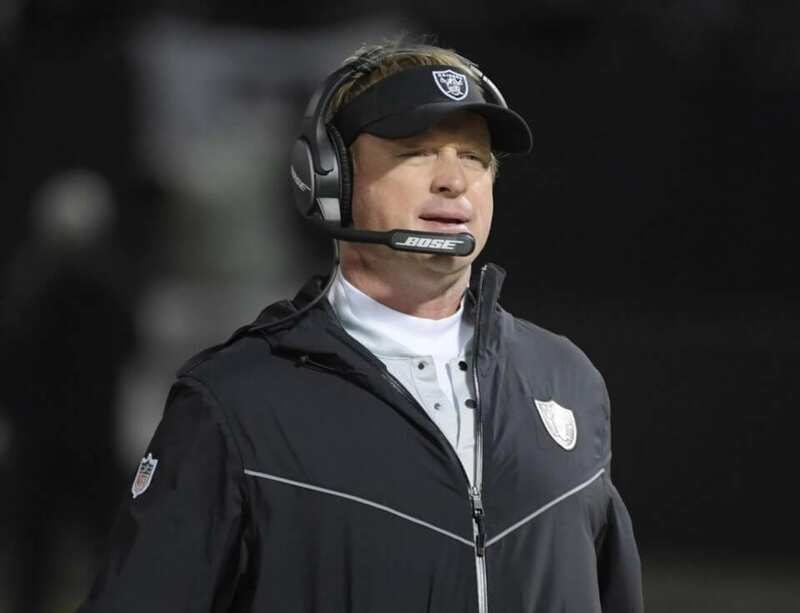 It’s officially an Oakland Raiders fan’s favorite time of year: the off-season. It’s a time of optimism and what-ifs, a time where the predetermined disappointment of the regular season has faded and the hope of 2019 has emerged. It’s a time of looking forward to cap space and high draft picks (again), and a time to believe that 2019 will inexplicably be different (and better) than 2018. As we head into the spring, the Raiders are flush with resources. According to Spotrac, the Raiders have the fifth-most cap space in 2019 (almost $74 million) to go along with four draft picks in the top 35. Obviously, for a team that was as bad as the Raiders last season, there are holes everywhere and so today, we focus on the offensive side of the ball. For all the talk about Derek Carr’s flaws, I struggle to put too much blame on him when the team has been without a true weapon for a long time. You can point to Amari Cooper’s emergence with the Dallas Cowboys as a counter to this argument, but did you know he went over 100-yards just twice in his nine regular season games for the Cowboys? Cooper was good, but his greatest flaw was his inconsistency — which led to his complacency and apathy, all of which needed to be removed. What the Raiders need is someone who can be the focal point of the offense — someone defenses fear, and who opens up opportunities for everyone else. Think Todd Gurley/Travis Kelce/Tyreek Hill/Michael Thomas/Alvin Kamara. Obviously, the players I just mentioned don’t grow on trees and yet, one is available in free agency for the right price in Le’Veon Bell; and on the trade market in Antonio Brown. For Bell, all we’re talking about is money — something the Raiders have a lot of; while with Brown the price would be steeper in that it would involve a high draft pick. If I’m the Raiders, I target Bell and look to add a secondary piece (receiver or tight end) via the draft — even if it means using one of their first four picks on one. When the Raiders were humming a couple of years ago, the offense was built around one of the league’s best offensive lines. Since then, they replaced both tackles with unproven (and raw) rookies, while watching the interior of their line get older and more banged up. The good news is that — by all accounts — 2018 was a low point. The hope is that Kolton Miller improves greatly after a summer in the weight room and a return to full health — all with a year’s worth of experience under his belt. Even if that happens, however, the Raiders line is littered with question marks. Brandon Parker — the team’s third round pick last season —- had less ups than downs last season, even if there were some moments of promise. They knew he was a project when they drafted him, but can they bet on him turning it around in 2019? On the interior, Rodney Hudson remains an elite center — which makes the hope of a return to dominance so realistic. The question, however, is with the diminished guard play we saw in 2019. Kelechi Osemele — once the best guard in football — looked like a shell of himself, and with a massive payday due in 2019, it’s hard to imagine he’ll return. On the other side, Gabe Jackson remains at a reasonable price, but needs to rebound in a big way. In the end, I’d bank on the Raiders spending some money and draft capital on a guard or two, as well as someone to challenge Brandon Parker at right tackle. If you’re looking for someone to jump off the Carr train, you’ll have to look elsewhere. While Carr was awful to begin the season, I thought he was actually really good down the stretch — finishing the season with career numbers almost across the board. Considering he did that without any real weapons and while being sacked more than ever, I think he deserves more credit than he got. That said, the Raiders do need a long-term solution at backup quarterback. The trade for AJ McCarron was a questionable one (he cost a fifth round draft pick and is now due a substantial pay raise), and one that leaves Oakland with a big decision. They won’t bring McCarron back for $5 million (I’m guessing), but they could try and renegotiate that number down if they wanted. My guess is the Raiders take a flier on a rookie quarterback at some point — but I’m thinking it’ll be Day 3 or later. This won’t be someone drafted to be Carr’s replacement necessarily, but rather a strong insurance policy should an injury come about.